Behind every success is a succession of failures. 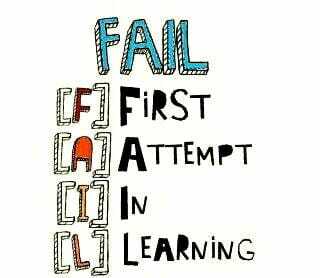 It's inevitable because failures and mistakes present the ideal learning process... not just theoretical but real-world practical, with a thump and a bump to make sure it hits home! How often do you strive to keep everyone happy? How often do you end up feeling resentful and tired, as if everyone's needs and desires matter apart from yours? It's possible to spread yourself so far and wide so that nothing's left for you. Instead, try making your needs known, first and most importantly to yourself. Put those needs first and then you will be far more empowered to be of service to others. It's easy to be discouraged by failures and even to consider them inevitable. 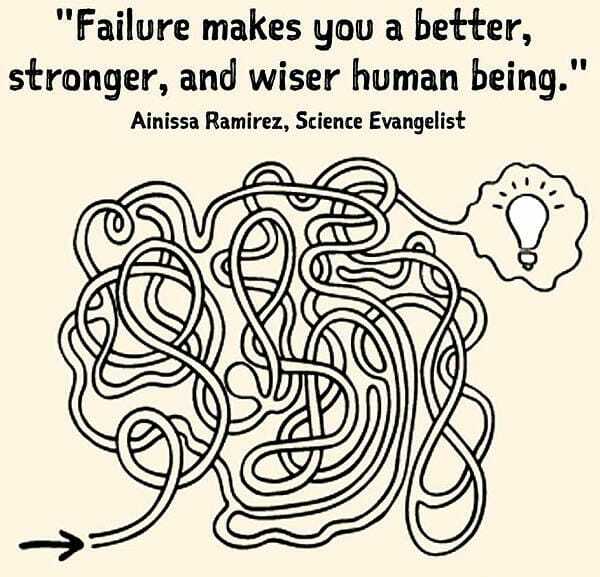 What one needs to remember is that success is indeed usually preceded by failures along the way, as those are the learning experiences that enable the breakthroughs, but if you quit you don't get to find that out. Look at how far you've come rather than on how far you have left to go. As inventor Thomas Edison remarked: "I am not discouraged, because every wrong attempt discarded is another step forward." So easy to be hung up about past failures, fears the same thing may happen again, or with regrets and acquired prejudices, and the list goes on. But really, it all starts from now, the past doesn't matter one jot and you're looking at someone who is completely unique. Give them - and yourself - a chance.